Our company motto, “Novare serbando” sums up the way in which we look at the present, as well as to the future. We innovate taking into account the socio-economic evolution, of market trends and consumer needs, but we never forget the values that have made this reality a solid and entrepreneurial company of the Branca Family. The “serbare” represents the founder’s intuition that gave birth to a long tradition in doing and of doing, to a unique craftsmanship that uses formulas to create the preparations which have never been altered. With the evolution and the expansion of the company in 2006, we felt it was necessary to insert and Ethics code (LINK) which, together with the Food and Beverage security codes and Security in the workplace codes, gathers together an essence of of values deeply rooted in our cultural company beliefs, and are a base for all the actions of our colleagues. All this was synthesized in the Social Responsibility Report of 2016. We consider all suppliers true partners in aiming toward value creation, this is true also for all our stakeholders. The network of relationships that is generated aids in producing stable and productive relationships. We all work together, as a team, supporting each other and have as an objective a common project. Our cardinal value is awareness: before acting on something we think about the motivations that move us to do it, we then focus on clarity, correct communication and the delivery our our enthusiasm. We pursue the dream of the founder: to bring to the whole world the excellence, the passion and the beauty of doing things the Italian way, in full respect of human being and the environment. Excellence is in our DNA. In Italy we transform high quality ingredients that come from 4 continents, and we bring them back to the world with the creation of a premium and accessible product. We activate our social scope and our business referencing the principles of the Economics of Awareness: profit for a company is important and should be obtained in the full respect of all people, of the environment, of the community that hosts us, and of the end consumer. Knowing that we are all interconnected one to another and with the environment. 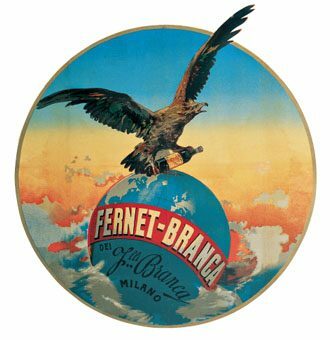 Bernardino Branca invents Fernet-Branca, a bitter that will make history. From domestic production to the opening of a production facility in Corso di Porta Nuova: Milan is the place where one of the most entrepreneurial adventures is to be born. Stefano Branca enters the company and launches in new markets the products introducing them to the great international expositions of the end of the century. An immediate success! At the passing of Stefano, his wife Maria Scala manages with success the company until the eldest son Bernardino comes of age. 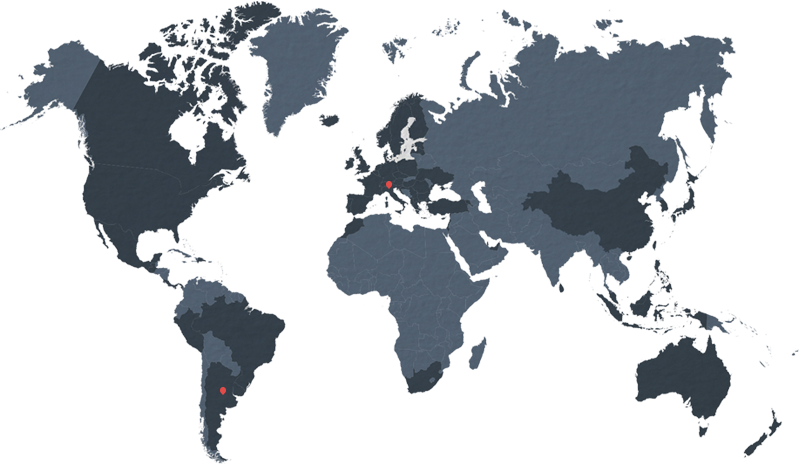 The company extends the product portfolio and distributed them abroad. Leopoldo Metlicovitz develops the artwork “Branca world”, current company logo that, at the turn of the century invades bars, restaurants and pastry shops around the world. Dino Branca takes over the direction of the company bringing a surprising international expansion. The production facility in Milan moves to where, still now, it is currently being produced. Via Resegone in Milan. Dino transforms the Fratelli Branca into a limited liability company, consolidating the capital to 150million lira. Opening of the production facility in St. Louis in Alsace. King Vittorio Emanuele III gives Dino the title of Conte di Pomanico, recognizing his merits in the entrepreneurial and business industries. Buenos Aires. The argentine company Fratelli Branca Destilerias is founded. Two years before his passing, Dino Branca renounces his Presidency of the company, and hands it over to his son Pierluigi. A full come back starts as well as expansion in the European production. Brancamenta is born, a revolutionary product created by Pierluigi which combines the digestive and beneficial qualitites to the pleasureful taste of freshness. Milan. The Centro Studi Maria Branca for quality control and research is born. Villa Branca S.r.l is born with offices in Mercatale Val di Pesa. The portfolio of branca products is now enriched with wines of Villa Branca Chianti Classico, Villa Branca Chianti Riserve and extra virgin olive oil. The agreement between the Comune di Milano and Fratelli Branca Distillerie for the “concession of a period of 29 years for the use and restoration of the Tower” in the park to which Branca will return an investment for the restauration of the tower. Acquisition of the Distilleria Candolini of Tarcento. The New President, Giuseppe Branca, uncle of Pierluigi, starts the expansion of the space that, at a later date, will become the Branca Museum. With the passing of Pierluigi Branca, his son Niccolò becomes CEO which gives a new drive to re-designing the group. Brand International SPA also becomes active, the holding with Niccolò Branca as president. The strategic and operational choices that were then adopted brought the Distillerie to occupy new significant positions in key markets, and to compete with major multinational companies. Caffè Borghetti enters the brand portfolio, the liquor of true espresso coffee, obtained by the ancient recipe passed on from 1860. The President of Fratelli Branca Distillerie Niccolò Branca gives back the Torre Branca, now renamed, to the city. Torre Branca is now therefore re-opened to the public. The restauration was made with a contemporary vision. Other than the tower, a new venue was introduced in the green lungs of the city, Parco Sempione. The distillery Fernet-Branca in St-Louis, built in the early 900s is transformed into a museum and June 15th 2004 is opened to the public as the “Espace d’Art contamporain” Fernet-Branca which is now a big presence close to the city of Basilea. Collezione Branca opens, a heritage of history and culture in the heart of Milan. An itinerary across raw materials, work tools, herbs, spices and roots, stories and objects: precious testimonials of a production process. In october, Niccolò Branca is nominated “Cavaliere del lavoro” from the Presidente of the Republic Giorgio Napolitano. .
For the 170 years since the foundation, the Ministery of economic development recognizes Branca’s production excellence by releasing a limited edition stamp. .
Fratelli Branca is present in over 160 countries in 5 continents, with a wide distribution network. Fernet-Branca and Brancamenta, brancy, acquaivt, coffee liquor, vermouth, wines and sparkling wines: Branca, always more and more, drives itself towards differentiation of its offers, expanding well over the liquor and aperitif categories: even if the liquor invented by the founder still remains at the basis of the business, the secret of a success that has lasted uninterruptedly for over 170 years.